Curiouser and Curiouser...: River Island sale now on! River Island sale now on! It's official. I need to go to some form of black & white clothing rehab. Hey Lucy, I nominated you for the Liebster Award. Check out my latest blog post for more info if you like :) have a lovely evening! 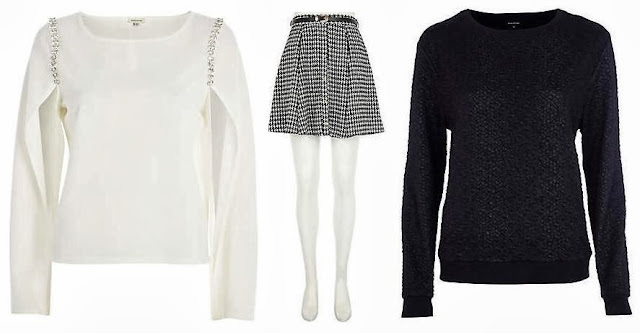 ohh love river island and those are some really cute picks!! going to check out the sale now :)!